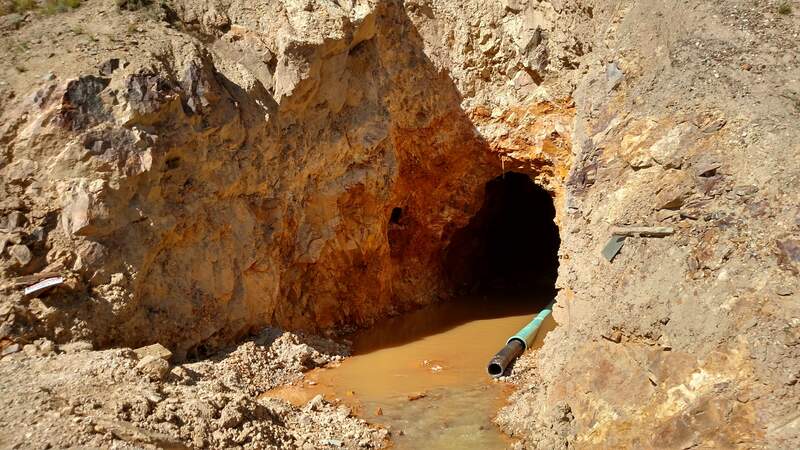 Wastewater coming from the Gold King Mine continues to spew about 600 gallons per minute. But the water is now being treated before being released into Cement Creek, a tributary of the Animas River. On Monday, the San Juan County Commission and the Silverton Town Board both unanimously voted to purse Superfund listing with the Environmental Protection Agency to help pay for cleanup of leaking, now-dormant mines near the town. A day after Silverton officials voted unanimously to pursue a Superfund listing, the Colorado governor’s office said it’s prepared to assist in negotiations with the Environmental Protection Agency. Kathy Green, a spokeswoman for Gov. John Hickenlooper, said the governor is aware of Monday’s vote, and he will be in conversation with local officials in the weeks to come. Local environmental groups on Tuesday also praised the town’s decision. Jim Buickerood, public lands coordinator with the San Juan Citizens Alliance, said the consensus to pursue Superfund status is a big step toward effective mine remediation north of Silverton. “The combined actions of San Juan County and Silverton, taking a serious look at the use of (Superfund), I think, represents their leadership in working with all the communities along the Animas River to restore the long-term well-being of the watershed,” Buickerood said. Ty Churchwell, Animas River coordinator for Trout Unlimited, said the organization never took a stance one way or the other on a Superfund listing, but has pushed for years for a water-treatment plant. “Superfund has its drawbacks, but at the end of the day, we’re grateful there’s a wastewater-treatment facility being pursued for Gladstone,” Churchwell said. San Juan County commissioners and Silverton Town Board trustees on Monday voted unanimously to direct city staff members to pursue a Superfund listing with the Environmental Protection Agency and the Colorado Department of Public Health and Environment to clean up leaking, inactive mines north of Silverton. Last week, when Silverton officials announced they would propose the motion, it seemed to have unanimous support after they had toured several Superfund sites in Colorado with a large constituency of downstream users, including La Plata County commissioners, Durango city councilors and several representatives from the Southern Ute Indian Tribe. Part of their decision will be based on a promise from the EPA that the designation would not include the area inside Silverton town limits. “We approved staff and our attorney, Jeff Robbins, to engage in talks,” said Silverton Trustee Pete Maisel, who, along with San Juan County Commissioner Scott Fetchenhier, will serve as liaisons for the project of requesting a ranking on the Superfund National Priorities List. The two governmental entities haven’t set any deadlines, and they don’t expect it to be a quick negotiation, he said. “We’re hoping the Colorado public health department will take the lead on this,” Maisel said. The question whether the mining district north of Silverton should be designated a Superfund has loomed over the community for more than 20 years, as inactive mines have increasingly leaked acid mine drainage into the Animas watershed and down to the San Juan River in New Mexico, impairing water quality. But in August, when an Environmental Protection Agency-contracted crew accidentally triggered the release of 3 million gallons of backed-up mine wastewater from the Gold King Mine, effectively turning the Animas and San Juan rivers orange for several days, the issue of cleanup from inactive mines rose to the forefront of public discourse. Silverton officials admit the EPA’s hazardous cleanup Superfund program has many drawbacks – with uncertainty over funding, the potential for mistakes and inevitable clashing of opinions – but ultimately, they said, it’s the only viable option to improve water quality in the Upper Animas River Basin. After the Superfund tour two weeks ago, San Juan County commissioners and Silverton Town Board trustees expressed a tangible shift of opinion toward Superfund. The listing has been largely supported by downstream communities. “Over the last 25 years, (the Colorado Department of Public Health and Environment) and EPA have learned a lot about how to conduct these cleanups,” Tookey said.